This is really easy. You just need a room with a desk. Don't hesitate to make a modern reinterpretation of the image of a family. The busy businessman Christian Waagepetersen looks up briefly from his work when his wife and two of the couple’s children enter his office within the family’s home on Store Strandstræde in Copenhagen. 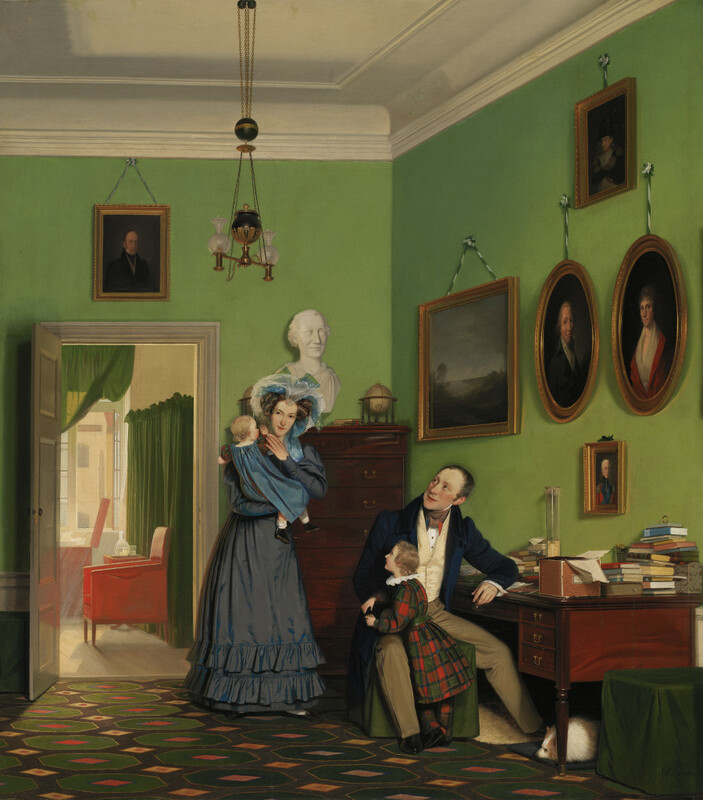 With its clear demonstration of the pressures of work handled by the head of the family, the picture illustrates the fundamental values for the Danish middle classes circa 1830: Family and work. Values that haven’t changed so much until today.